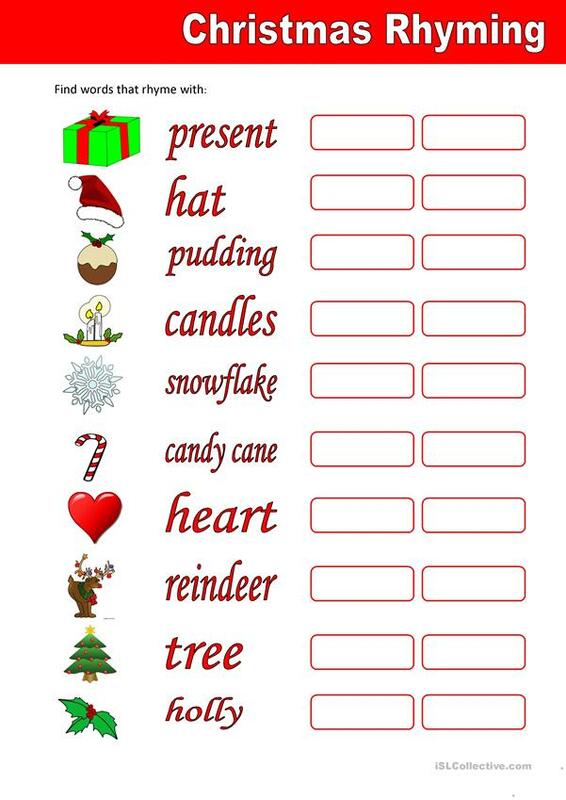 Find words that rhyme with the listed Christmas words. The present downloadable teaching material was created for high school students, elementary school students and adults at Pre-intermediate (A2), Intermediate (B1) and Upper-intermediate (B2) level. 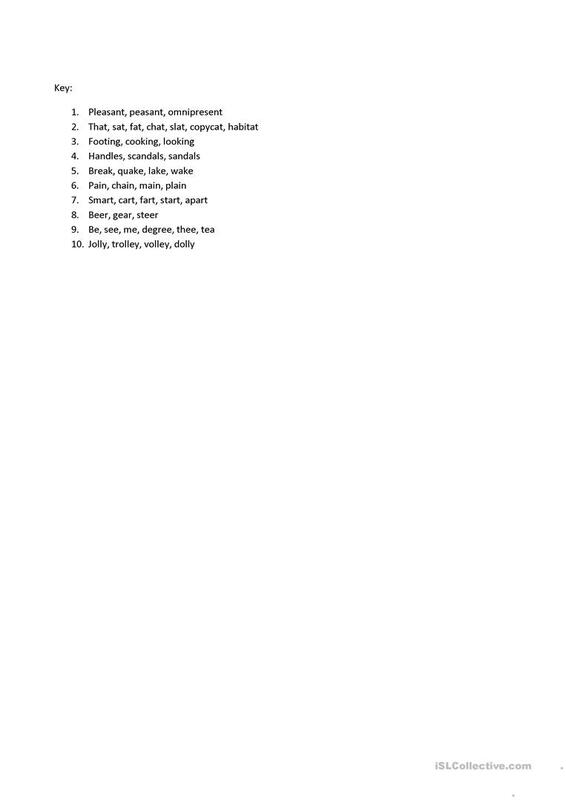 It is useful for enhancing your pupils' Spelling, Reading and Writing skills. It is focused on the topic and words of Christmas.